This is Part II in our story on the Walker Brother. 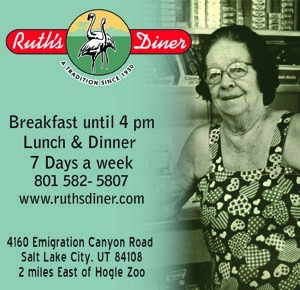 The first part was published in our November 2015 issue of Utah Stories magazine. Camp Floyd was finally abandoned in 1861, when it became clear that the soldiers would be needed for fighting in the Civil War. In one of the most wasteful federal expenditures, executed by a corrupt Secretary of War John B. Floyd, the camp that bore his name, proved a treasure trove for the early Mormon Pioneers and merchants as expenses for the camp escalated. Three hundred structures would be built and stockpiled with massive amounts of goods (most of which would go unused). While many of the leaders of Camp Floyd were vitriolic anti-Mormon— even printing their own anti-Mormon newspaper— many would pay a great premium for fresh mormon-grown produce, eggs and horses. It was eventually found that John Floyd was a confederate sympathizer and he was taking kick-backs on every purchase for Camp Floyd as well as intentionally making huge unnecessary expenditures. What was a waste for the federal government proved a great service for the Mormon community, but especially the Walker Brothers. They would realize a massive windfall. When Camp Floyd closed bacon was sold for one penny for a pound to wholesalers, horses were sold for $2. The massive stockpiles of shovels, fence rail, and rifles were all sold for huge discounts. The army surplus the brothers purchased allowed them to greatly expand their business. The successful sale of these goods lead to the Walker Brothers, now in their early twenties, to establish their own successful independent enterprises in Salt Lake City. In the next ten years they would become the second largest income-earning family in Salt Lake. The brothers’ skills complimented each other, but their early years of working with their father proved invaluable, and their customers (many of which were LDS) continued to shop with them even after Brigham Young ordered the Saints to stop patronizing gentile establishments. The brother’s had developed a keen eye for not only the laws of supply and demand but the changing economic forces which made previously undesired products very desirable. For example items such as flour, eggs and basic steer and horse tack were in great demand when survival was at its lowest level. But just a few years later, when the country was involved in the Civil War, and trade with the eastern economy was booming; champagne, oysters and French perfume fetched the highest premiums in the new economy. The Walker Brothers rose to the top of the mercantile industry in the Salt Lake Valley, and things would only get better due to their foresight. Eventually the Mormon Church and Brigham Young bought out all Mormon merchants including William Jennings Eagle Emporium to start the Zions Cooperative Mercantile Institution, adopting the all seeing eye as their emblem. This cooperative was an effort to regain a large portion of the economic control over Salt Lake City’s commerce which had been diluted due to gentile merchants. When ZCMI was incorporated the Walker Brother’s Dry goods store sales plummeted from $70,000 to $5,000 per month. They offered to sell their building and all of their assets to Brigham Young, but Young refused and he thought this final economic assault on the brothers would very likely be their demise. By this time the brother’s mining and banking businesses were highly profitable and allowed them to keep the doors open of the dry goods store until conditions improved. However, the Walker Brothers had already seen the writing on the wall and began branching out into other areas and other businesses. By the late 1860s it was clear that the Transcontinental Railroad was coming, and soon the Salt Lake Valley would be flooded with much less expensive goods and profit margins on products they could offer would greatly decline. The Walker Brothers started looking into ongoing mining speculation efforts. There were speculators examining the Cottonwood Canyons, believing there might be areas that had enough silver to pay out huge amounts. Brigham Young regarded mining as sinful, and he prohibited church members from being involved. 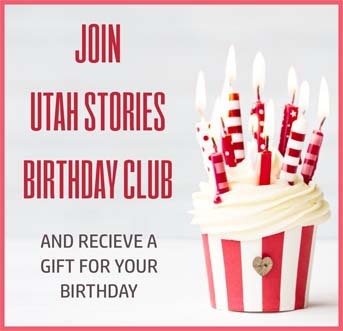 But the Walker Brothers and other wealthy Utah merchants had no misgivings. Rob Walker was especially involved in mining and speculation, but he had learned that it was usually those who carefully waited until the perfect opportunity presented, before investing proved successful. For years he bided his time. But when the Emma Mine in Little Cottonwood Canyon was assayed, it proved to have a high amount of silver and would be economically viable to mine. Walker then invested heavily in the Emma Mine with a $30,000 purchase of shares, and entered the arena with a few other investors. The Emma proved to be an incredible rich mine with a nearly 4 foot wide vein of almost pure silver which appeared after three years, inexhaustible. And conditions improved quickly, thanks to some clever tactics the brothers employed. After nearly 20 years in business the brothers had attracted many very loyal Mormon clientele. But Young had told the saints that they would be excommunicated if caught shopping at the Walker Brother’s store. So the Walker’s allowed LDS members to enter via a backdoor and they would disguise their shopping bags, so they could continue to patronize their store. 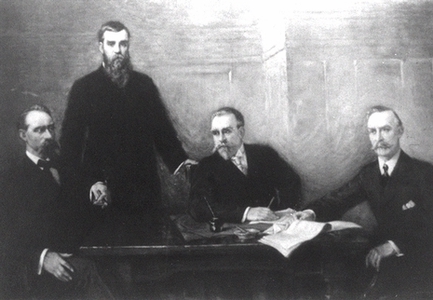 Also, in 1869, just two years later the Transcontinental Railroad was completed and as the brothers predicted, this caused Young’s efforts in attempting to monopolize the supply of goods, became futile. Imported products were too plentiful and far too inexpensive by this time to stop the flood of products and control Salt Lake City’s retail economy. The Walker Bank Building around 1930. 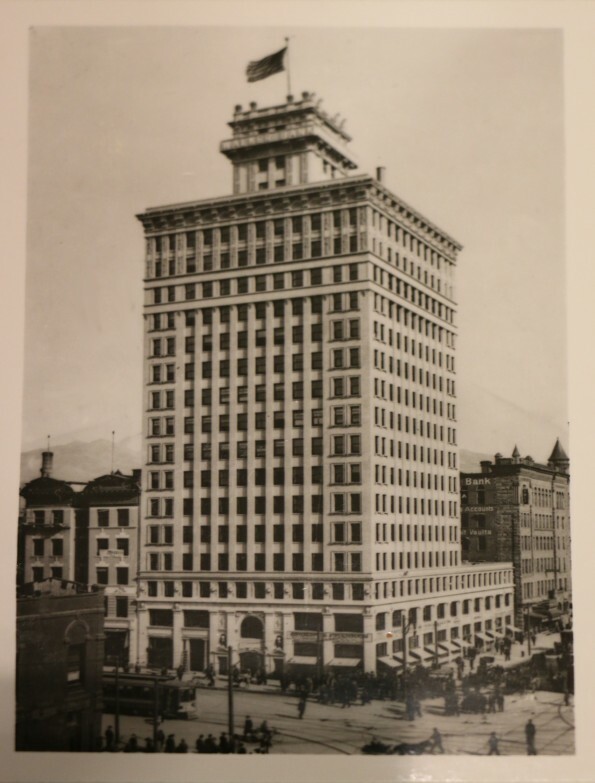 The building was Salt Lake City’s first “skyscraper”. It was the tallest building between St. Louis and San Francisco.